Struggling, with your current repeater, or lack thereof? Is your club or organization having issues with the system your currently using? Well, don’t give up hope because we have the solution for you. Introducing the BCR-40U FM Repeater System by BridgeCom Systems, Inc. The BCR Repeater provides a feature-rich, extremely reliable repeater/base station combo. 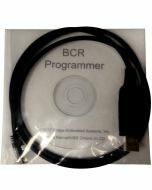 Rather than continuing to repair the old one, consider ordering a new BCR-40U. It's the perfect solution for a primary or backup repeater for amateur radio clubs, A.R.E.S., and R.A.C.E.S. applications where emergency management personnel and storm spotters need reliability. It is also a perfect fit for your commercial system's applications. Also available with a UHF 6 cavity duplexer installed internally, with tuning and cabling.